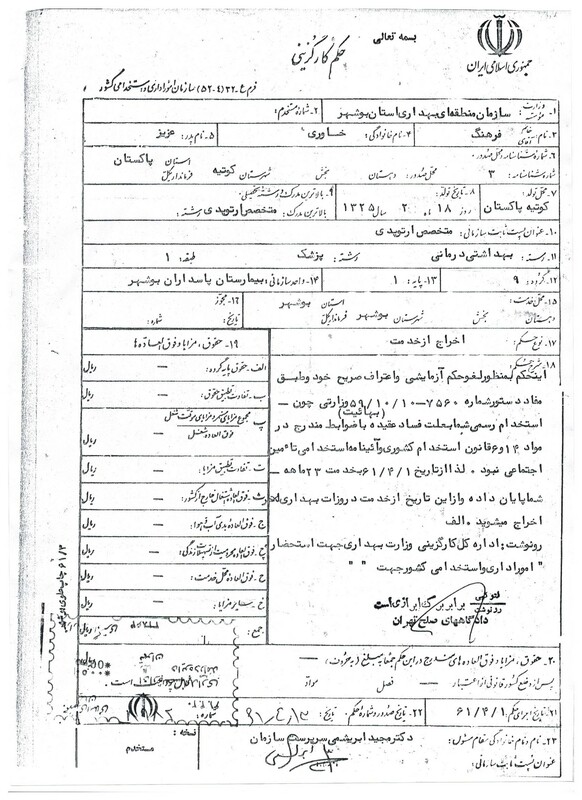 According to Medical Practice Legislation enacted on 11 Khordad 1290 of Solar colander (2 June 1911) and article 14 of the amended Medical Council Act, approved on 1354 of Solar calendar (1975) Dr. Farhang Khavari son of Azizullah, Birth Certificate Number 2 issued from Kuwaiti, Pakistan, born in 1325 (1946) and graduated in Medicine from the University of Karachi ( Pakistan), Is granted this licence to practice Medicine outside of Tehran and in cities where there are not Medical schools within Iran. 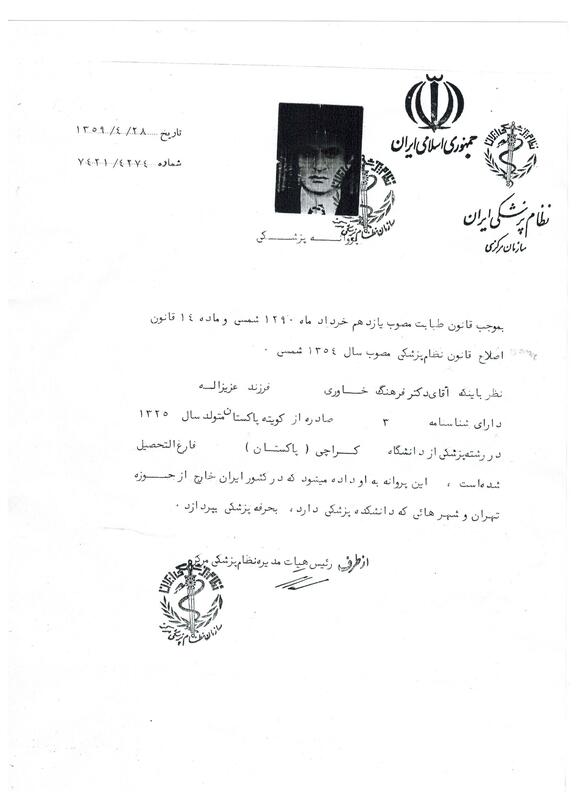 It is hereby certified that Dr. Farhang Azizullah Khavari, an orthopedic specialist, was employed in this organization from 59/5/15 (6/8/80) to 61/3/31 (21/6/82). This certificate is issued at the request of the person mentioned above and has no other value. 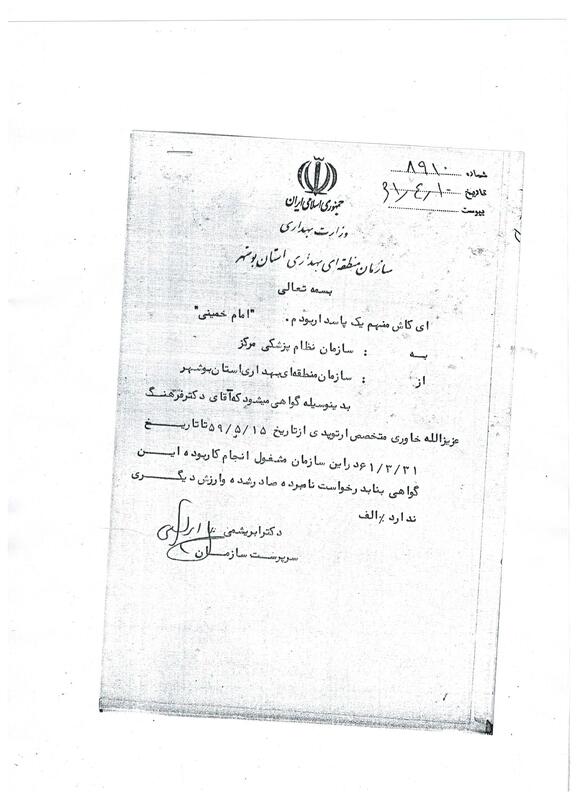 According to this notification, due to pressing need of this organization, you are hired as of 61/4/1 (22/6/82) for a duration of 20 days based on a fee for service contract. 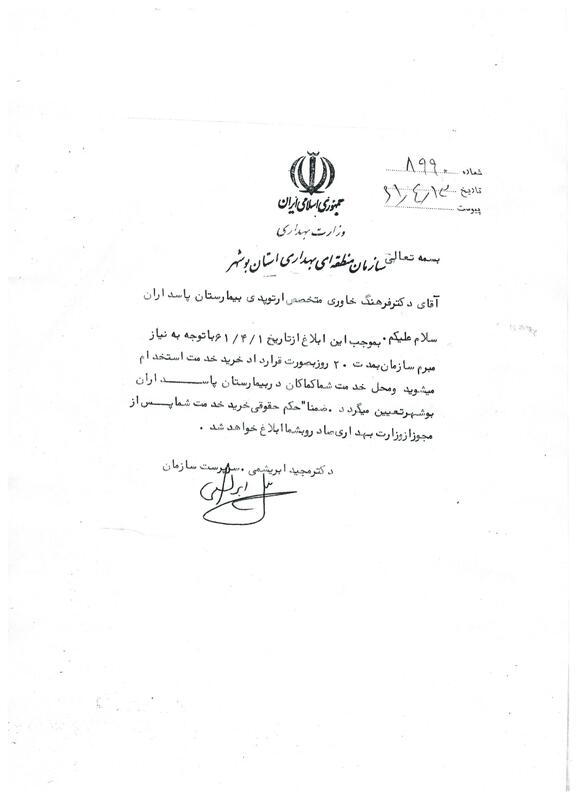 The place of your work will continue to be in Pasdaran hospital of Bouchehr. Meanwhile the legal ruling for procuring your services will be issued and communicated to you upon the receipt of authorization from the Ministry of Health.